1997, the year T. Kenneth Fowler published The Fusion Quest, was a great year for the fusion community ... and also a terrible one. In Culham, UK, the European JET was setting world records in fusion power production. In Japan, JT-60 had achieved the best combination yet of plasma temperature, density and energy confinement—the "triple product" that is the key to harnessing fusion energy. In the international collaboration known as ITER, the detailed design phase was just completed to the satisfaction of its four original partners, the US, Russia, Europe and Japan. Thirteen years after its inception, the ITER Project appeared to be solidly on track. In the US though, the tide was turning. Under pressure from a new majority in Congress, public spending was being drastically reduced and, like other research programs, magnetic fusion was getting the axe. For lack of proper funding, the Princeton Tokamak Fusion Test Reactor (TFTR), that had "definitely" (1) demonstrated fusion power in 1993, was closing. As for the ITER Project, its very future was at stake. The program "could be killed by January," wrote the New York Times in May, 1997. T. Kenneth Fowler, a thirty-year veteran of fusion research and the Director of fusion research at Livermore National Laboratory, wrote The Fusion Quest in this climate, as magnetic fusion's future, despite spectacular achievements, hung in the balance. His book reflects the mood of the fusion community at that time, both enthusiastic and preoccupied. The Fusion Quest is about the forty years that saw fusion research go from tabletop devices to large machines like TFTR, JT-60, JET and eventually ITER—and, on the inertial fusion side, to the National Ignition Facility. The book tells an exciting tale of complex science, sophisticated technology, and intricate politics. "Maintaining enthusiasm for fusion research among government officials," Fowler writes, "has never been easy." At every crucial moment though, "visionary leaders in [...] various governments" rose and sided with the fusion community "with little expectation of political rewards." In 1996, Fowler, and his colleagues in fusion labs were wondering: "Will we [...] be able to carry through?" The years that followed brought an answer. (1) JET was first to demonstrate fusion power in 1991, with a plasma containing 10 percent tritium. Two years later, TFTR used the "actual" fusion fuel, with deuterium and tritium in equal parts. 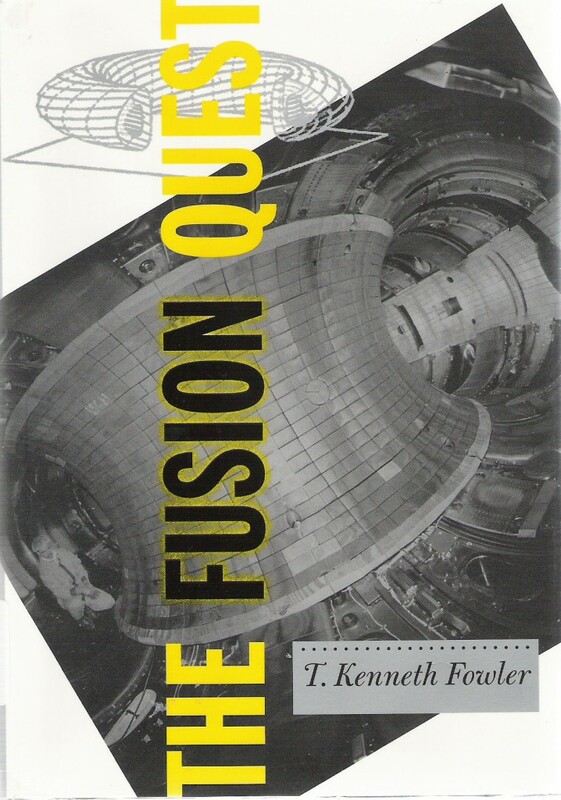 The Fusion Quest, T. Kenneth Fowler, The Johns Hopkins University Press, 1997.